Other resources related to this book. Dr. Mary Jo Carnot presents "How Learning Works: Seven Research Based Principles of Learning," part of the Graves Lecture Series at Chadron State College. 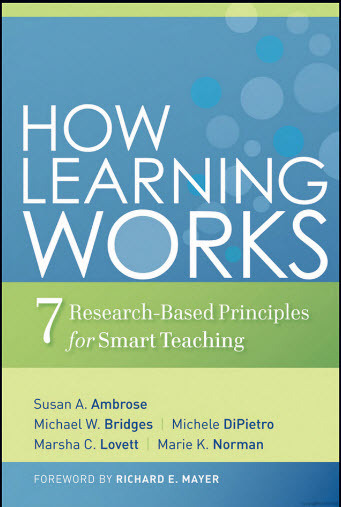 Part 2: Q&A with Dr. Ambrose in which she discusses how to apply the information presented in Part 1 to specific teaching contexts. This webinar is a product of the Engineering Inclusive Teaching series funded under grant 1203164 by the National Science Foundation (NSF).